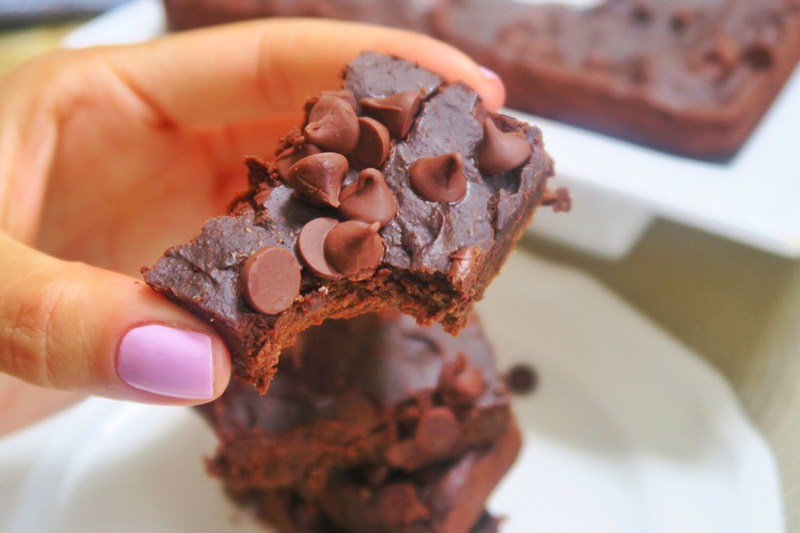 If you’re a dark chocolate lover looking for a healthy brownie recipe (with a dash of green for good luck), this one is for you! Avocados are the base here and no need to add oil as it is nature’s butter! 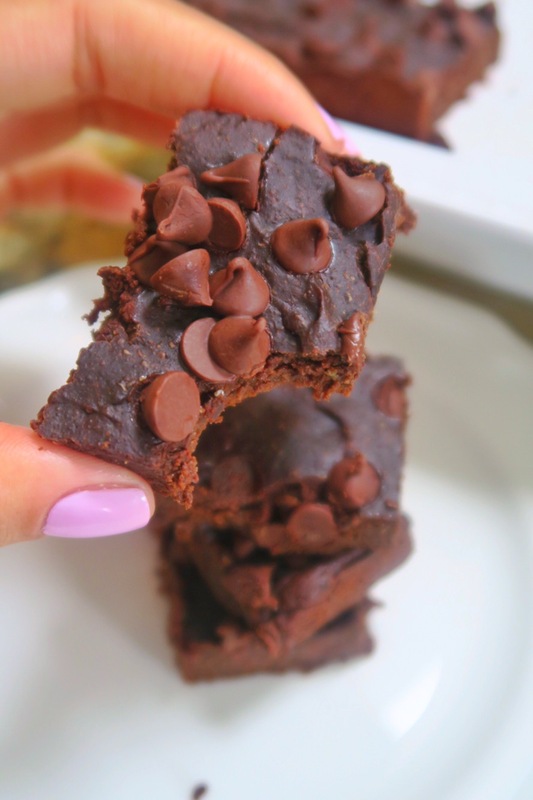 This makes for a thin gooey brownie that you need in your life! Avocados are incredibly nutritious, not to mention so delicious! They contain more potassium than bananas even and also fiber. Avos are the good kinda fat you want to add to stuff, and really is a great substitute for oils and butter like in this recipe. Preheat oven to 350 and grease an 8×8″ baking dish. 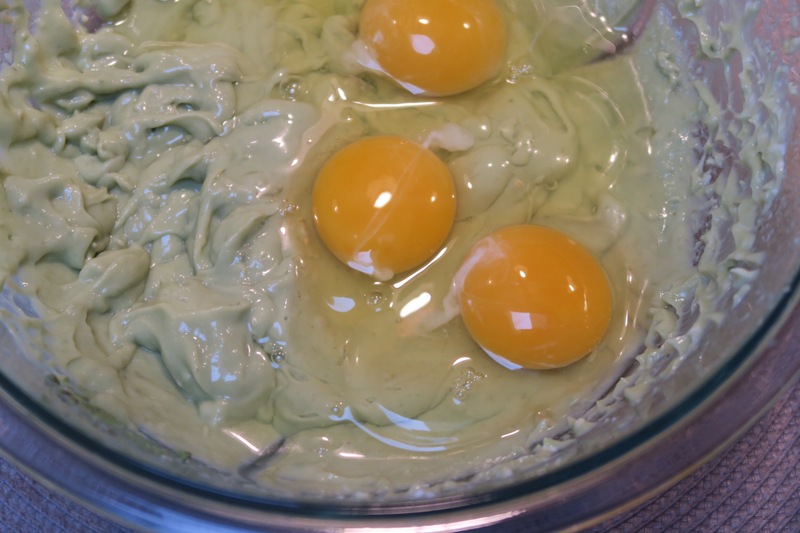 In a bowl, combine avocado, maple butter/syrup, Greek yogurt and vanilla extract. Blend with hand blender. 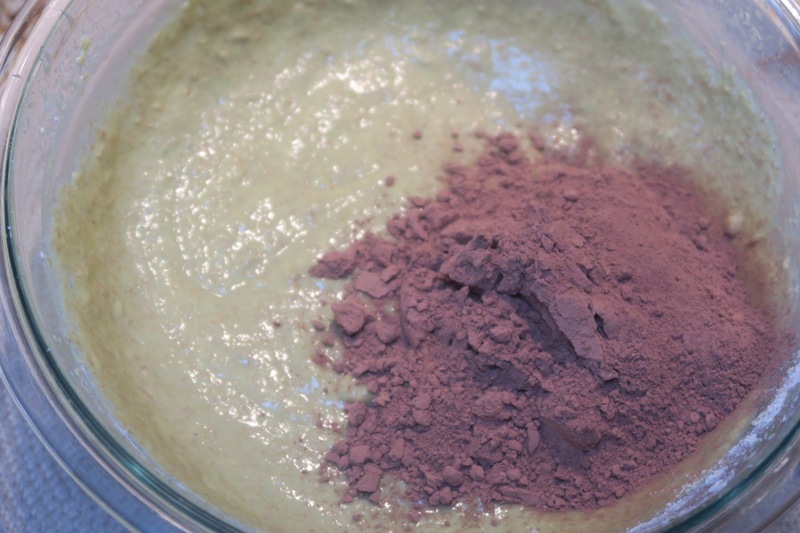 You can also add ingredients to a blender or food processor. I’m a big blender person but mine is so loud and baby is usually sleeping so I often go for the hand blender which also does the job incredibly well. 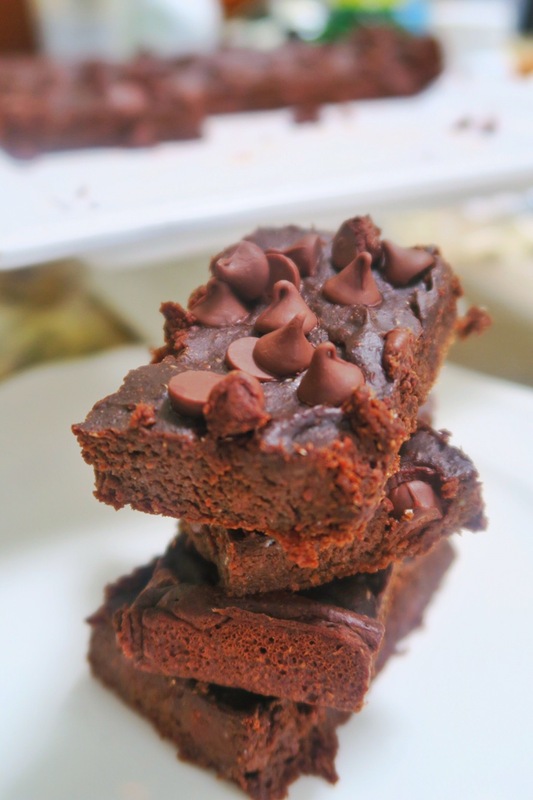 To wet ingredients, whisk in flour, cocoa powder, sea salt, and baking soda until combined. Fold in chocolate chips and pour mixture into the greased baking dish. 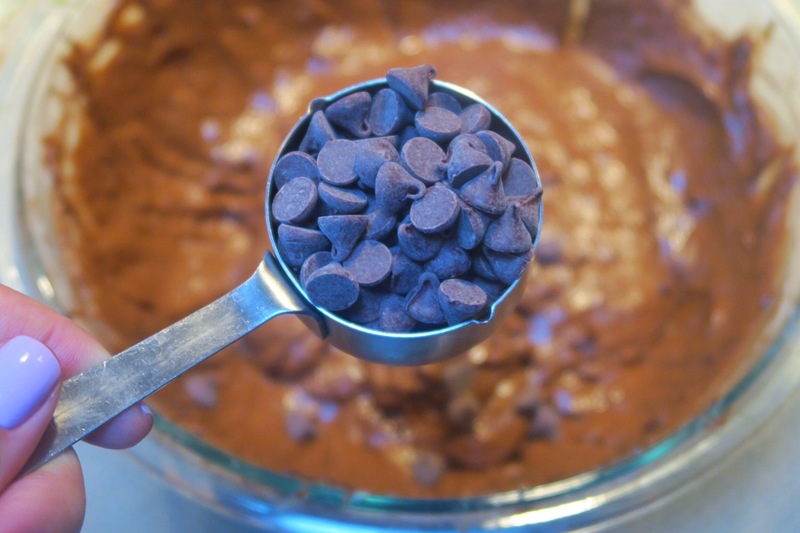 Sprinkle with more chocolate chips if desired. Bake for about 22-25 minutes. SNAPCHAT: AnaSandee – I snap and cook so get the recipes in real time before they make it to the blog! Videos stay up for 24 hours and sometimes end up on my YouTube channel, so follow along! 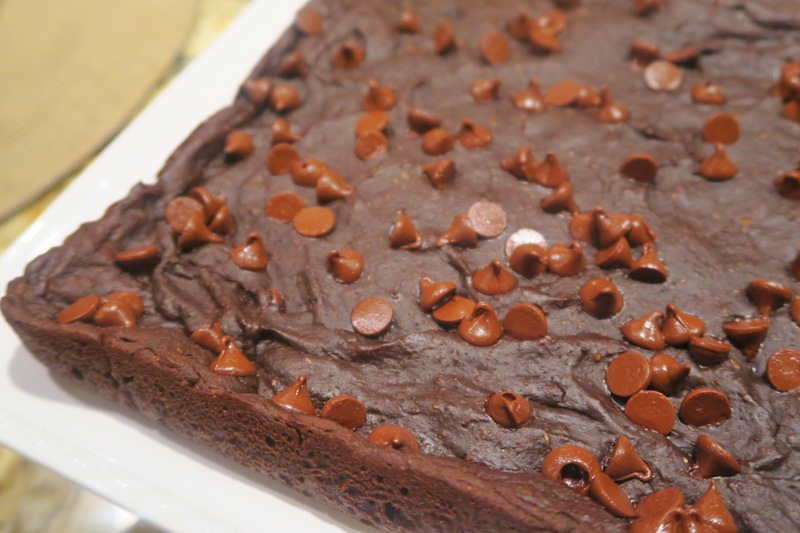 This entry was posted in Cakes and Breads, Sweet Stuff, Uncategorized and tagged avocado chocolate cake, dark chocolate brownies, healthy avocado brownies, healthy brownies, healthy chocolate cake. You should try making the blondies for Easter. Let your mind be blown!!! ??? and YAY! Tag me on pictures on Instagram.